As rates of illegal drug use increase, the debates over drug policy heat up. While some believe penalties should be harsher, others advocate complete decriminalisation. Certainly, debate over the 'war on drugs' is not new. In the early 1920s, as the drive for Chinese Exclusion gathered steam, Canadians blamed the Chinese for the growing use of opium and other drugs, and parliamentarians passed extremely harsh drug laws to counter this use. These laws remained in place until the 1960s. In Jailed for Possession, Catherine Carstairs examines the impact of these drug laws on users' health, work lives, and relationships. In the middle of the century, drug users regularly went to jail for up to two years for possession of even the smallest amount of opium, morphine, heroin, or cocaine, often spending more time incarcerated than on the street. As enforcement increased and drugs became harder to obtain, drug use became an increasingly central preoccupation, making it almost impossible for users to hold down steady jobs, support families, or maintain solid relationships. 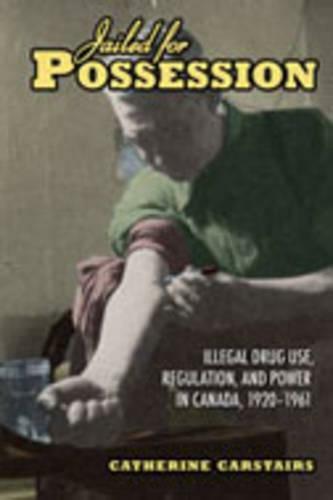 Jailed for Possession is the first social history of drug use in Canada and provides a careful examination of drug users and their regulators including doctors, social workers, and police officers.